By clv4@duke.edu in OIT, Security on October 25, 2018 . 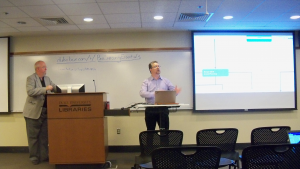 Miss yesterday’s Learn IT @ Lunch session “Box Security Essentials” ? A recording is available online. Note: You may be prompted to update your MS Silverlight Plug-in to view the recording. Resource materials are posted here: https://duke.box.com/v/BoxSecurityEssentials.